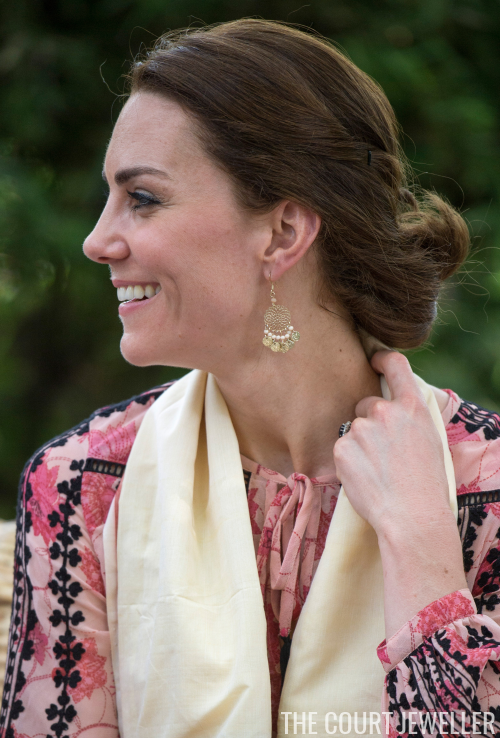 Yet another outing on the tour for Kate's new Accessorize earrings: she wore them on Wednesday to visit the Centre for Wildlife Rehabilitation and Conservation at Kaziranga National Park. 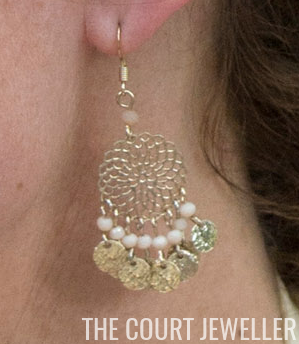 Here's a good look at the inexpensive earrings. Kate's definitely going for a very specific jewelry strategy on this tour: (relatively) affordable, local, and casual. 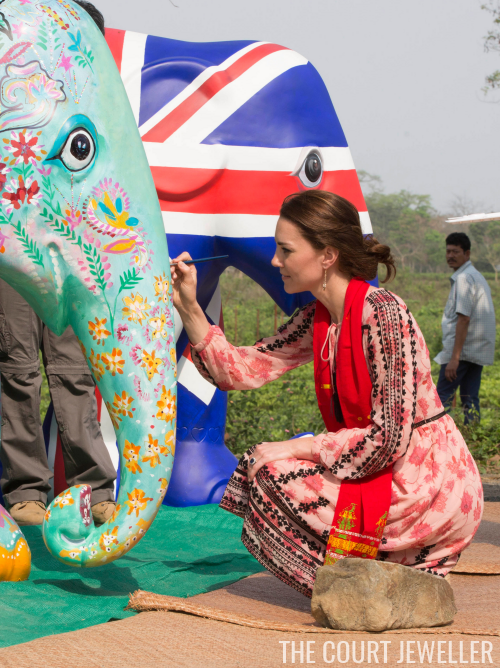 Kate wore the same clothes and jewels later in the day to paint an elephant statue sponsored by Elephant Family, the charity started by the late Mark Shand (brother of the Duchess of Cornwall).